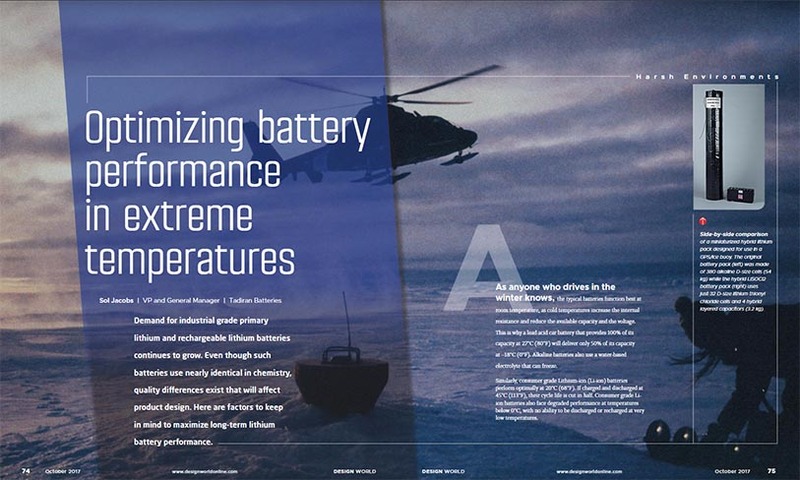 Optimizing Battery Performance in Extreme Temperatures: Tadiran Article in October 2017 Design World » HHP Associates, Inc.
Demand for industrial grade primary lithium and rechargeable lithium batteries continues to grow. Even though such batteries are nearly identical in chemistry, quality differences exist that will affect product design. Here are factors to keep in mind to maximize long-term lithium battery performance.